Internationally based client hosted a last-minute company meeting in the California office. Client opted to host the event, in a large outdoor tent in the company parking lot, due to a lack of available ballroom space in the immediate area. Dyventive provided a consultative solution that allowed us to maximize the value of our account team by sitting on pre-event calls, providing detailed drawings, and scheduling meetings with the tenting company to review outdoor meeting logistics and offering a intelligent production design. 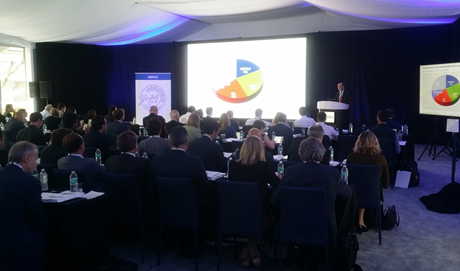 Client was able to host a traditional corporate meeting in a non-traditional space, by using outdoor power generators, specialty lighting and the latest LED video walls for optimal brightness.